The lineup consisted of three freshmen, a sophomore and a senior against an Indians squad that towered over the young players. RCS prevailed with a 65-59 victory that day but it was the start of a journey for the three freshmen, Dante Bouchard, Joey Rowback and Anderson Jones, that has brought them from a 7-14 record that season to a 17-1 mark so far this season and a shot at a share of the Foothills Council championship on Monday night. 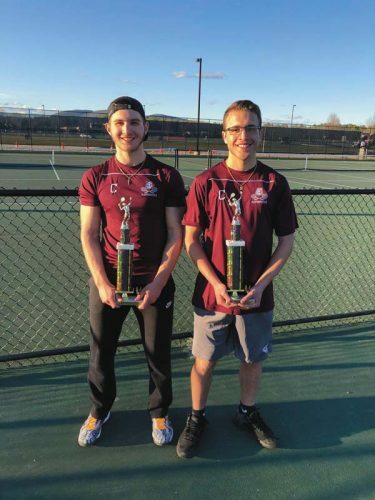 Gloversville will square off against defending Foothills Council champion Glens Falls (16-0 Foothills) for a shot at a share of the league title for the first time since 2009. “We are excited for that and have always wanted to win championships since an early age,” Jones said. 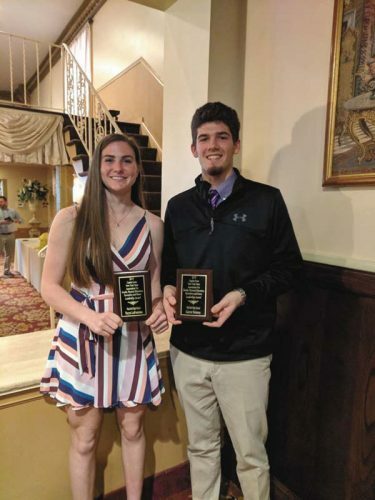 Jones, Bouchard and Rowback have been playing basketball together on various teams since the fourth grade and have come up through the program with many of the players on the Dragons. But even playing together for a while they found the adjustment to playing at the varsity level to be a different beast. Now juniors, the trio point to one game that has fueled them since the end of their freshman season; a season-ending 72-58 loss in the opening round of the 2016-17 Class A Sectionals to Burnt Hills-Ballston Lake on their home court. 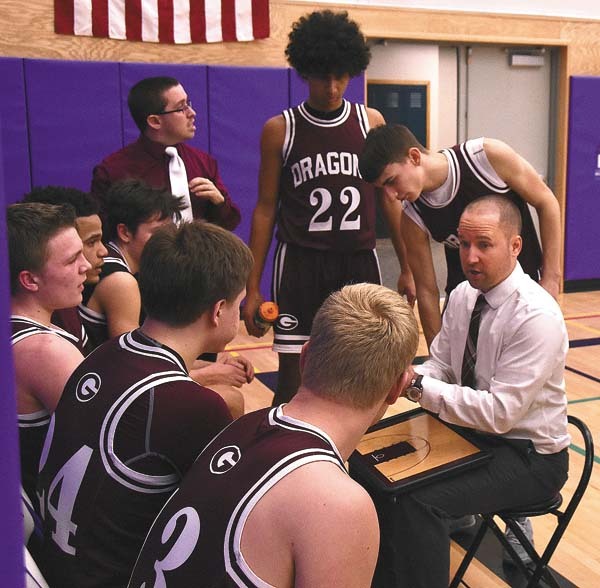 The Dragons delivered on their promise to the coach with a 15-7 overall record and a trip to the Class A semifinals at the Civic Center before falling 77-65 to Amsterdam in the semifinals. Along the path to the Civic Center, the Dragons also delivered Glens Falls one of its two regular season losses. The hard work has started to pay dividends for the Dragons as they have run off a 14-game win streak since an 89-78 loss to Glens Falls on Dec. 4. On that night, Bouchard reached the 1,000-point milestone of his career. Rowback is quickly closing in on the milestone with 964 points heading into Monday’s game. While Rowback and Bouchard have hit the points, they both are quick to point to the other Dragons for their successes. Jones has connected for 131 points this season but has also turned in performances with double-digit rebounding and assists. Senior Julien Deumaga has stepped up his game in his second year on varsity and has stepped up with eight double-digit scoring games including games of 27 against South Glens Falls and 33 against Johnstown, and multiple double-digit rebounding games. Kucel is quick to point out that every player on the team has strengths that he has been able to utilize to the best of their abilities when the situation calls for it. “Joe and Dante are good for 50 a night, what a luxury that is for a coach,” he said. “Andre Stanfield is a kid who did not play as a freshman and barely as a JV. Last year he bailed us out of two games. At Amsterdam he hadn’t played in eight games and went in and made three or four huge plays. Then against Glens Falls Buck Galster got in foul trouble and he played almost the whole game. We have a lot of trust in him and he is a kid who knows his role and gets these guys open. Kucel admitted he would not like to be on the other side of the court facing the Dragons. However, the team member that brings a smile to their faces when they talk about key elements in the Dragons success is team manager Derrick “D-Rock” McGuinness. Now the Dragons, ranked No. 22 in the Class A state rankings, are preparing to square off against Syracuse-bound Joe Girard III and the once-beaten Glens Falls Indians, ranked No. four in Class B. Girard has scored 4,174 points so far in his five-year varsity career and is coming off a Section II single-game record breaking performance with 69 points in the Indians’ 98-83 victory over Schuylerville on Friday. Girard also has connected for 110 3-pointers in his 868 points this season and is 218-for-256 from the free-throw line. Trenton Girard can also hit from behind the 3-point arc and has 41 3s. 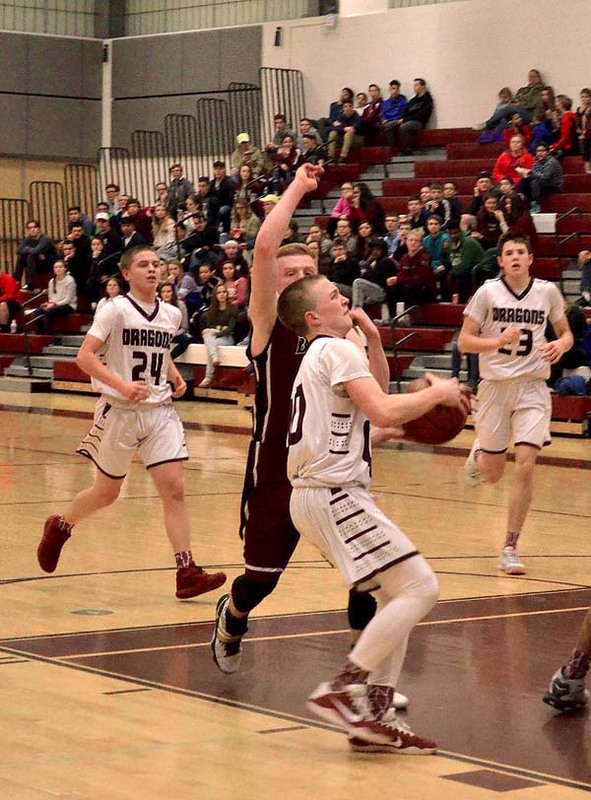 Gloversville have connected for 162 3-pointers as a team this season with Bouchard hitting 79, Rowback 32, Deumaga 27, Jones 17, Ruggeri six and Getman one. Bouchard said he is also excited to be able to play before a sold-out crowd at Gloversville High School. Doors are slated to open for Monday’s game at 6 p.m. with the game tipping off at 7 p.m. Presale tickets only were available for the game and were sold out and no tickets will be available at the door. The game will be broadcast live on the radio by WENT (1340 AM, 105.1 FM) as well as streamed live over the internet on www.capitalregionsportsnet.com.